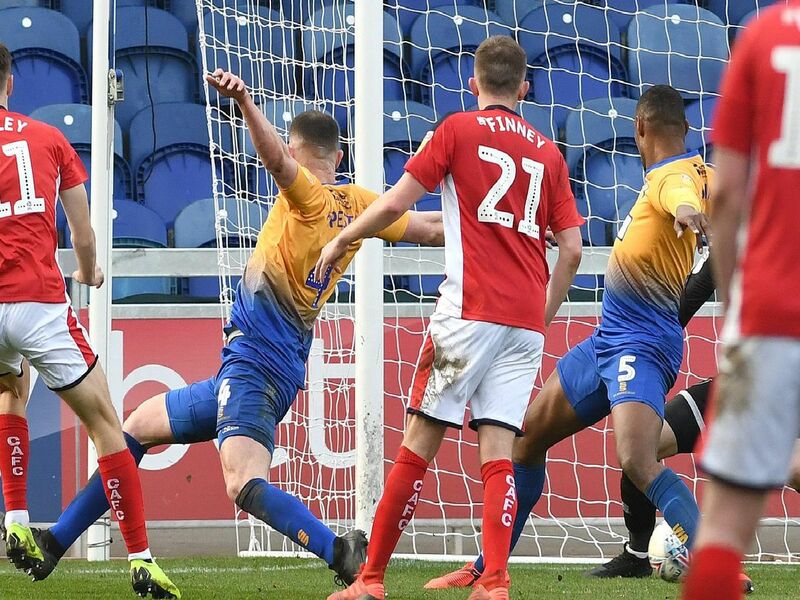 Mansfield Town suffered a damaging home defeat by Crewe Alexandra for the second season in a row as they crashed 2-1 and out of the top three on Saturday. Here, sports editor John Lomas gives his marks out of 10 for the Stags players on the day. Played well and tried his best to get attacks moving quickly with his throws and kicks. Had no chance with either goal. A decent display spoiled by his slip when over-playing that handed Crewe's second goal to them on a platter. But he did force Stags' consolation goal over the line. Largely solid throughout. He failed to block the shot for Crewe's first goal but his header set up Mansfield's reply. Several good pieces of defending won applause from the home fans.